Vroom ! Vroom! Vroom ! Let’s ditch our cars and ride into summer with Class and Style. 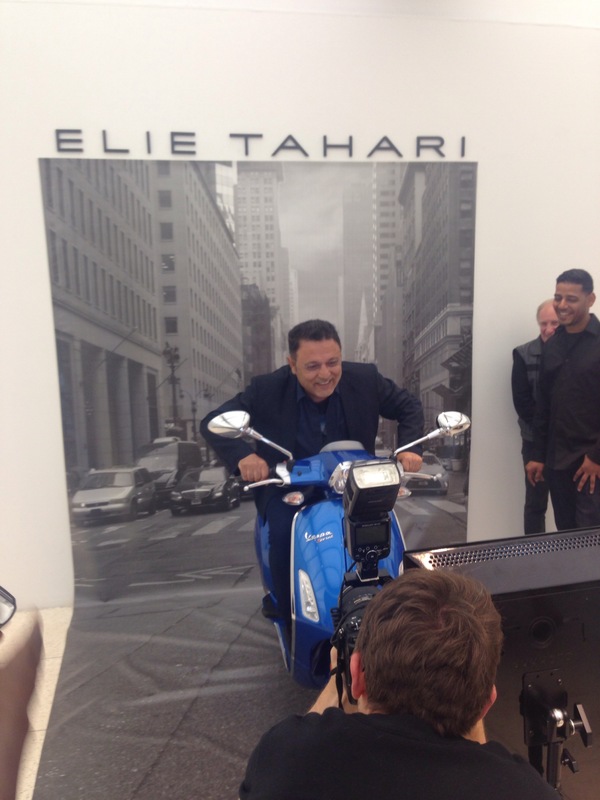 Designer Elie Tahari partners with Vespa Brooklyn to release a custom line of Elie Tahari-ized scooters inspired by his spring – summer 2015 collection. Without a doubt the sophisticated sporty scooters are glamorous on their own , but Tahari has created custom cover seats using the same fabrics of his spring-summer 2015 collection including a mesh , a red-berry neoprene and a blue silk . 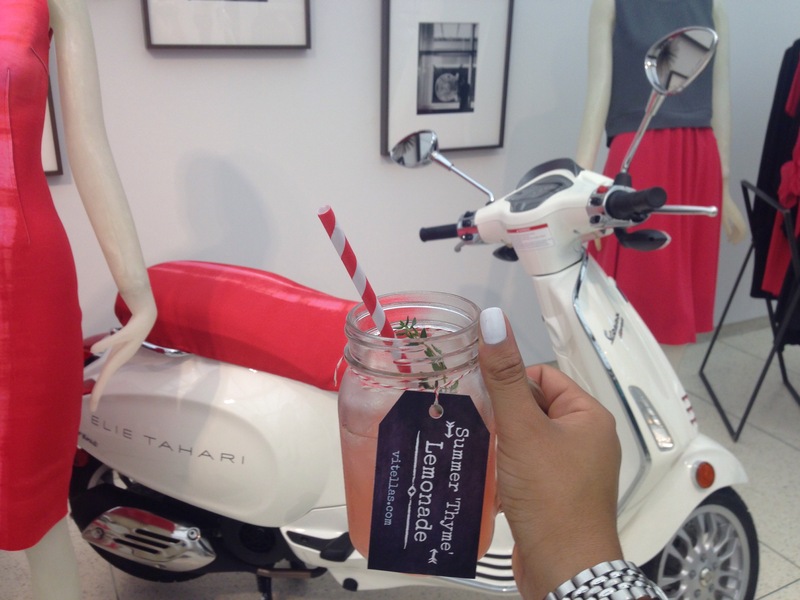 The scooters also are embellished with “Elie Tahari” on the side, as you can see in the picture below which was taken at the 5th avenue location for the Elie Tahari Vespa and InStyle Event. 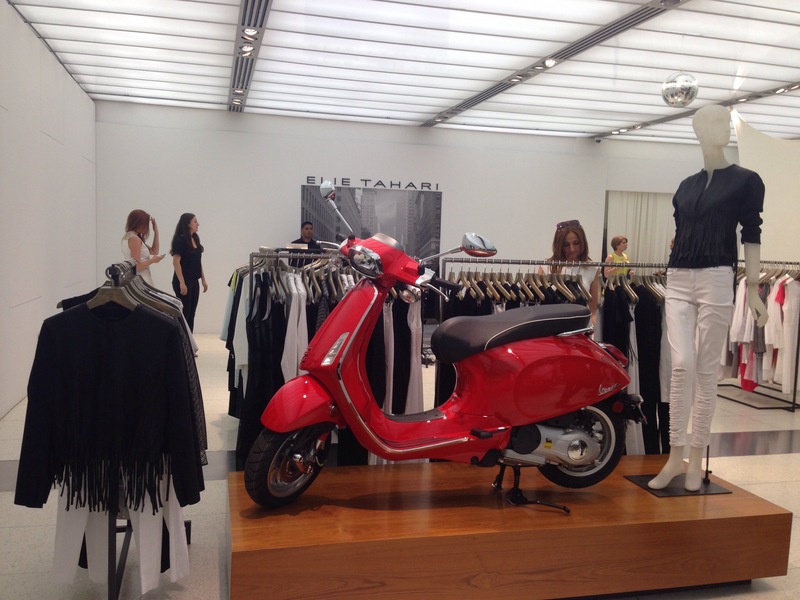 The Tahari Designed scooters will be on display until the 4th of July at the Elie Tahari stores in East Hampton, Soho and 5th Avenue, but Vespa lovers will have to make their way to The Vespa Brooklyn to purchase the scooters. In the picture above we can see the beverage set up in which I was fascinated with. I love the idea of using the mason jars to serve cocktails and lemonade. Blogger Lillie and I having some fun at the #ElieTaharixVespa photobooth. 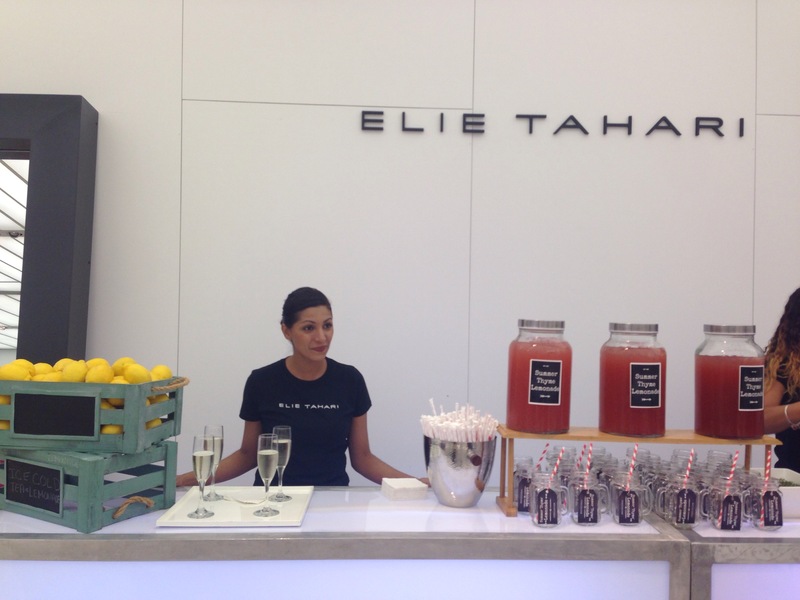 Elie Tahari , himself having some Photobotth fun ! Tahari told WWD that he would be buying one this summer so don’t be surprised if you see the designer riding around the city !